Happiness comes in many forms, and hiking is definitely one of them. Whenever people complain of depression, negativity and fatigue, I always encourage them to take a hike to places like Antuwanga, to commune with nature. While dealing with blisters and braving the elements don’t seem pretty appealing for some, hiking has wondrously transformed my life, making me a happier person. 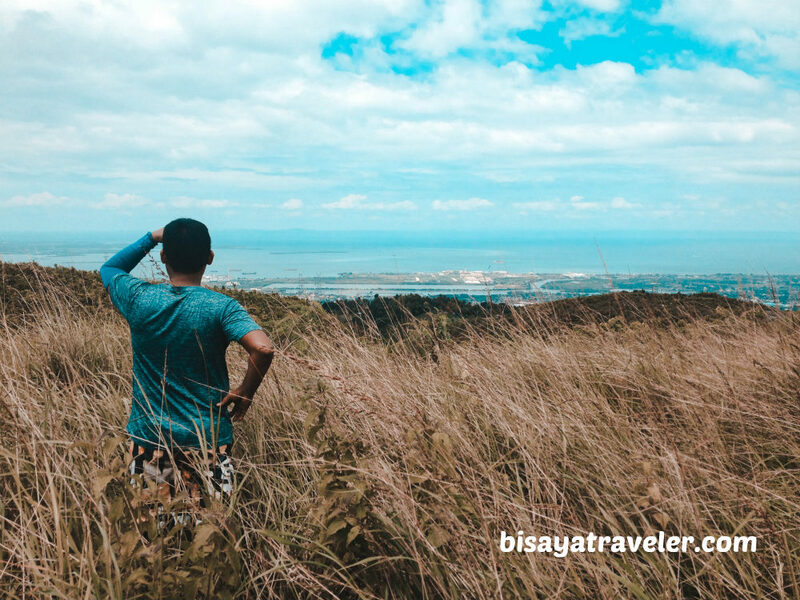 Whether it’s the triumph of reaching the summit, the sounds of nature or the rhythmic pattern of the feet, there’s something about hiking that makes people like me upbeat and contented. Truthfully, hiking has been my therapy to a fast-paced and stressful life. And, unlike other types of hobbies, hiking is fairly cheap. 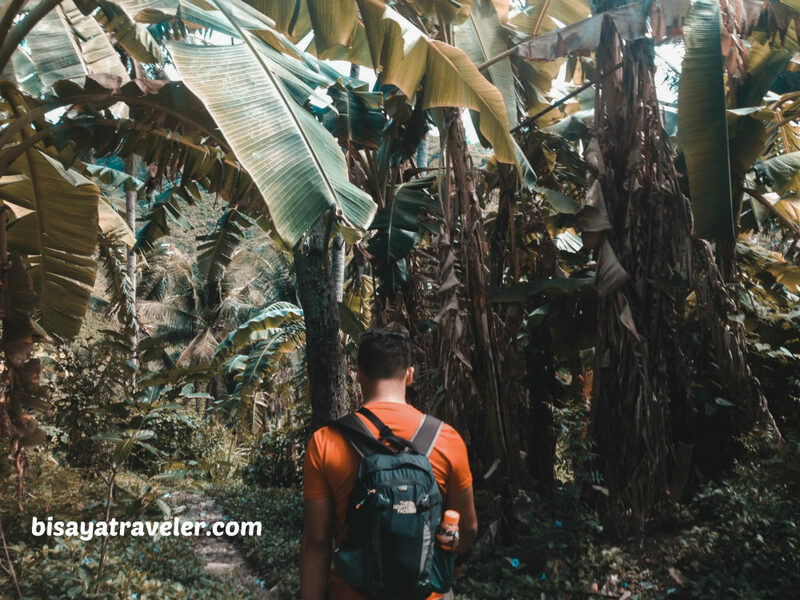 With a positive mindset, a good pair of trekking shoes and plenty of water and trail food, you can hike a multitude of trails and experience nature’s finest creations. And, the happiness in hiking doesn’t start and end at the summit. In our Antuwanga adventure, for instance, we experienced the 6 stages of happiness in hiking, from the planning process to a mild celebration. Think you’ll only experience happiness in hiking when you’re on the trail? Contrary to popular belief, your hiking bliss actually starts during the planning process. Once you’ve agreed on a date and place, you’ll instantly feel the adrenaline rushing in your veins. Through your Facebook group or chat, you’ll be soon sharing stories and photos of your next hike, creating happiness and excitement within your crew. 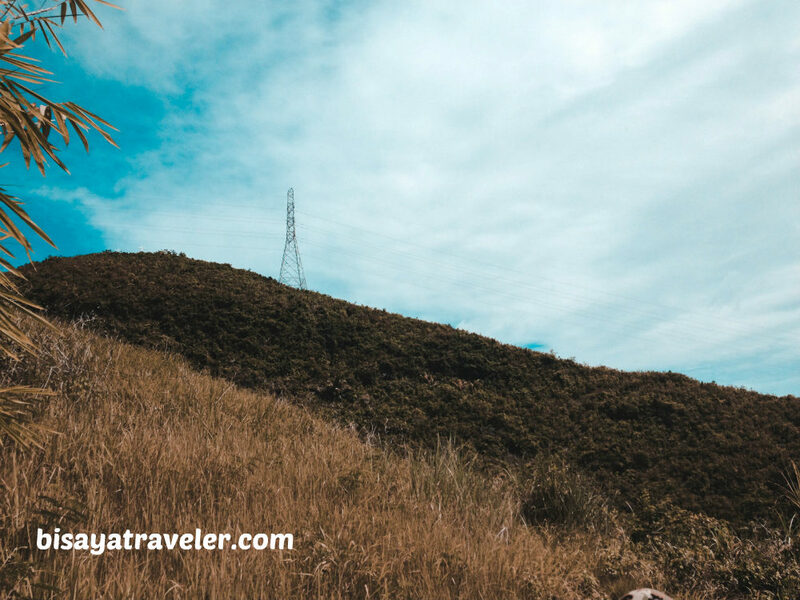 You’ll read blogs, check out Instagram photos and even listen to stories about the trail from other hikers. 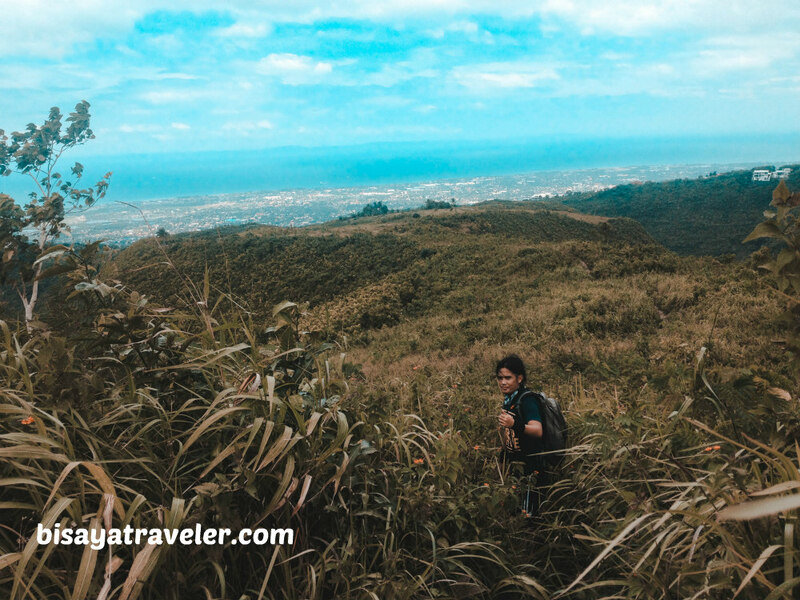 Of course, you’ll also imagine the most euphoric parts of your hike, such as stumbling across an enthralling waterfall, or jumping for joy on the summit. In a 2010 study conducted by Applied Research in Quality of Life, researchers found out that vacation goers experienced a huge boost in happiness on the planning stages of their trip. As the study suggests, the vacation goers were looking forward to the swell and good times ahead. And, that’s just the same with hiking. Even if it’s a short day hike, you’ll feel unequivocal joy and excitement, as you plan your adventure. In our Antuwanga hike, though, the buildup or anticipation was a little so-so. 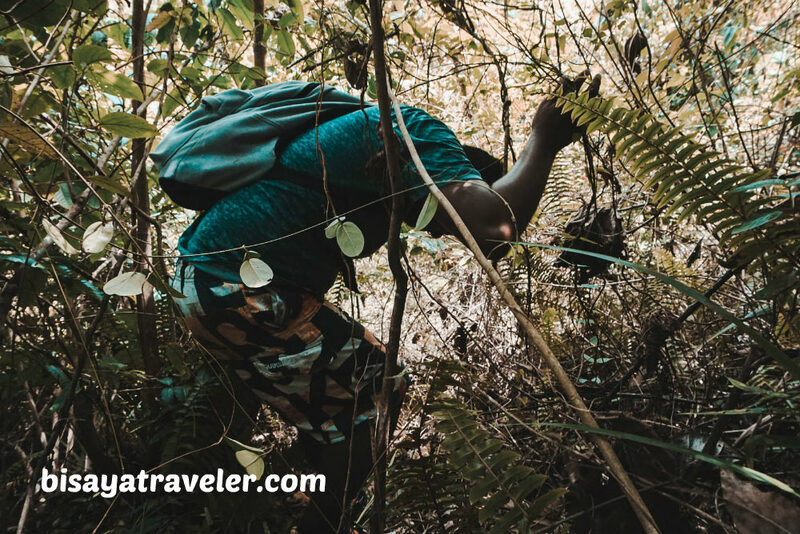 After all, our Antuwanga adventure was a mere survey hike, organized to see if the trails are fit for a larger group of hikers. Still, I remained optimistic and pumped up to once again hit the unexplored trails and ridge of Antuwanga. As a matter of fact, I barely got any sleep since I was eager to hike Antuwanga, and release more of my happy hormones. Our Antuwanga hike started with a meet-up at 711 in Quiot, Pardo. 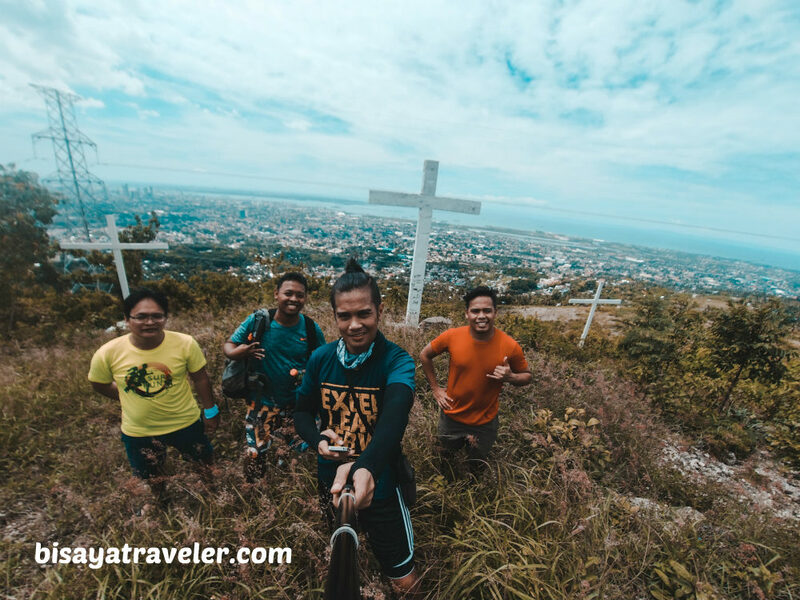 For this adventure, there were three intrepid hiking buddies who tagged along with yours truly – Raul, Beboi and sir Francis. 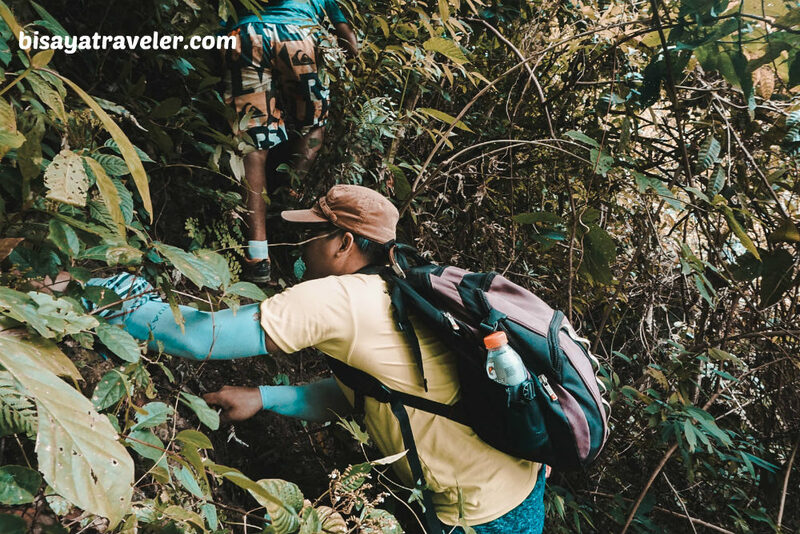 Geared up and thrilled for the Antuwanga hike, we kicked-off our journey, passing by the gates of San Carlos Heights and into the steeper parts of the village. 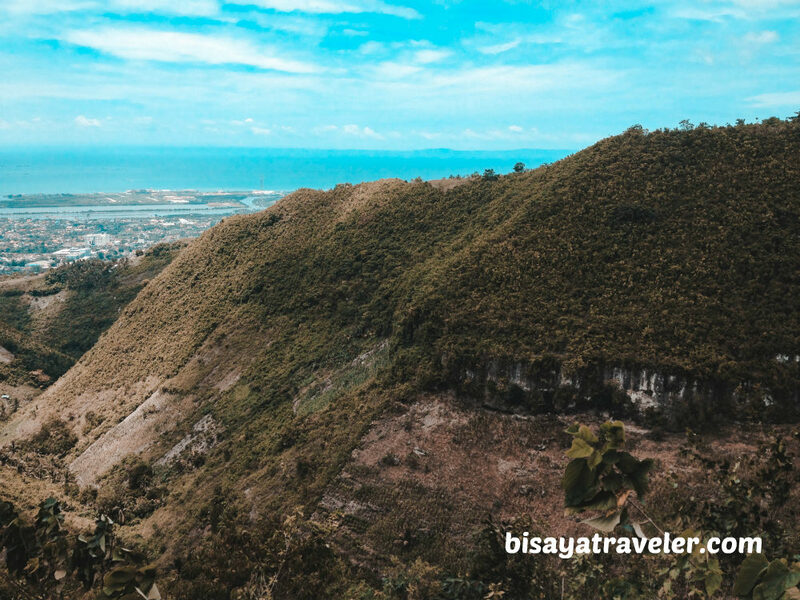 In hiking bliss, this is the stage wherein you’re doing some catching up with your friends or getting to know someone new. For some, it’s an exciting and delightful experience to meet a new friend or talk to a friend whom you haven’t seen in ages. And, in my book, it’s one of the reasons why so many people are addicted to hiking nowadays. As always, we had a lot of fun talking at this stage of happiness in hiking. Though it was an all-male group, we are pretty chatty, as we were hiking our way to Antuwanga. 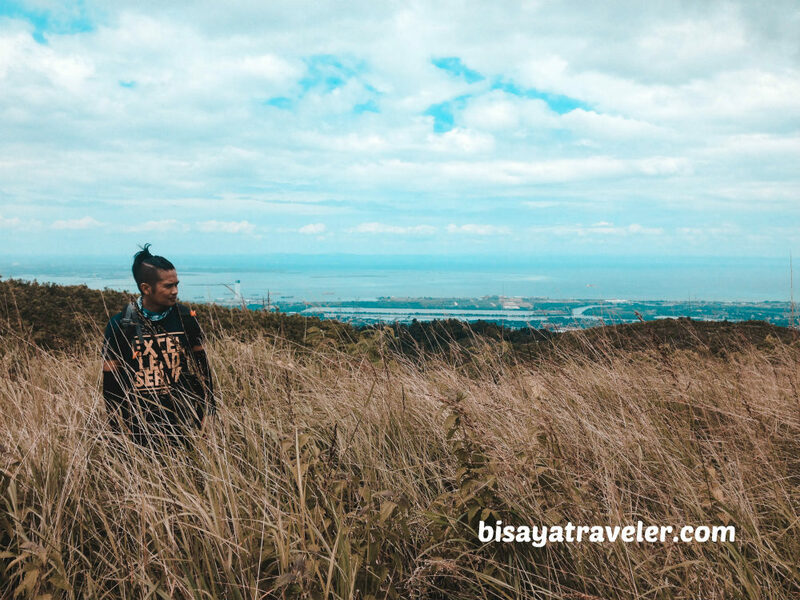 And, when you’re hiking with someone as witty and funny as Tatay Raul, you’re bound to have a ton of giggles and laughs on this aspect of the adventure. Aptly nicknamed as the “Chess Master” (chismoso), Raul seems to have nuggets of information of everyone within our circle. When it comes to gathering info, this guy is, hands down, the best that I’ve ever seen. He’s probably a son of Detective Conan, a descendant of Sherlock Homes or a brother of the famed Ricardo Dalisay. With his knack for uncovering secrets and intel, he’d definitely make a great detective or NBI (Nabuang sa Itoy) agent. Or, he could be the undisputed successor to Boy Abunda or Kris Aquino. Seriously, he has the charisma as well as all the tools, knowledge and skills to become a bona fide showbiz host. Our fun-filled chat, however, was brought to a halt when we began descending to a remote area in Nazareth, Buhisan. 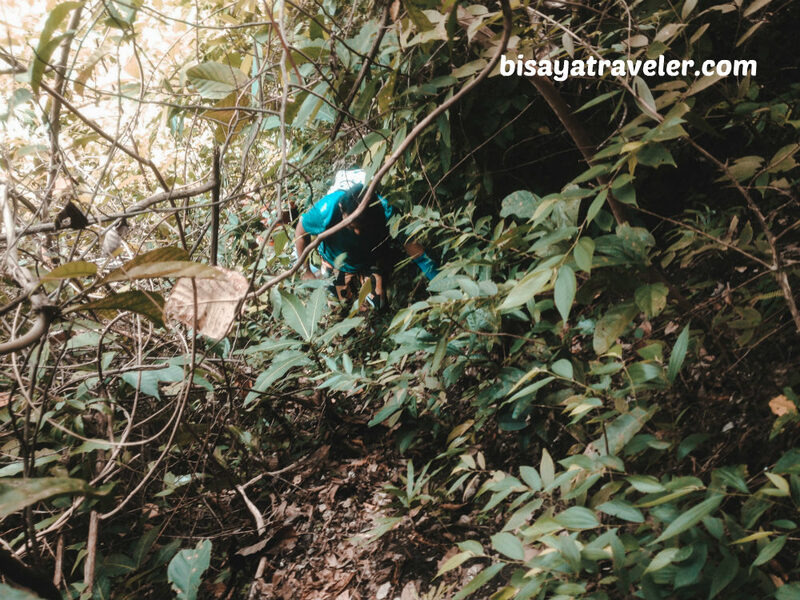 With a slippery and rocky trail, it’s no surprise Tatay Raul was fairly quiet on this part of our Antuwanga adventure. Minutes later, we arrived at a secluded area in Buhisan, and took a short breather. After a quick break, we resumed with our hike and passed by some interesting sights along the way. And yes, the all-male group, or also known as “Lacto Puppies”, was again in the mood for jokes and some senseless quotes. Spearheaded by Beboi, we made our way to the starting point of a long concrete stairway. And, that officially marked the 3rd stage of happiness in hiking – the painful pleasures. 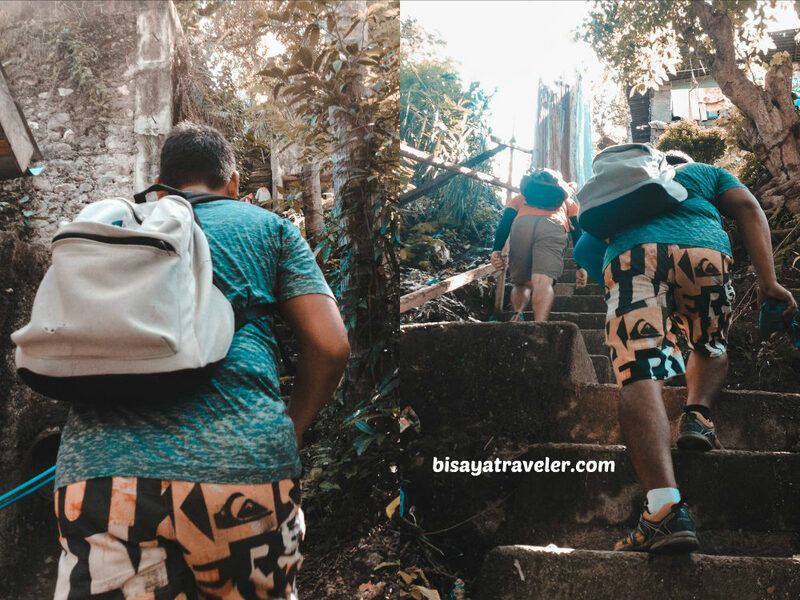 Even though the staircase was designed to make things easier, it somewhat made our hike a bit more challenging, thanks to a few steps that are almost a foot long. Truth be told, we were all gasping and clutching our knees, after climbing these stairs. Yet, even with the struggle and pain, we were all on a state of pure bliss. Like other forms of exercise, hiking produces chemicals that turn struggles and pursuits into pleasure, making adventurers feel extremely happy. As science suggests, a tough hike like our Antuwanga adventure releases our happy hormones – endorphins. Not to mention, being with Mother Nature boosts serotonin (happiness and relaxation) and reduces our stress hormones. And, that’s why I crave for mind-blowing hikes every week! After a short rest, we went on with our adventure, hiking under the scorching heat of the sun. Eventually, we arrived at the first stop of our Antuwanga adventure – Tulo Ka Cross. 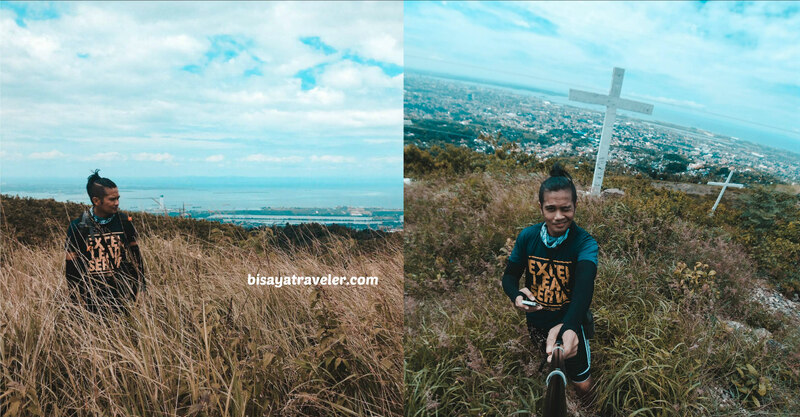 There, we took a break and soaked up the beautiful views of Cebu City. 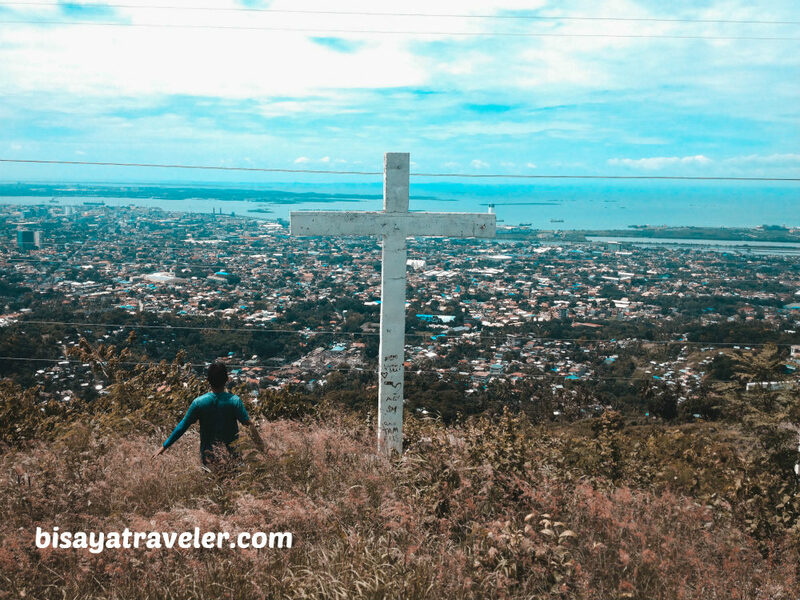 We didn’t spend a ton of time in Tulo Ka Cross since we have over a couple of stops in our “open-minded” itinerary – San Carlos Heights and Toong Elementary School. 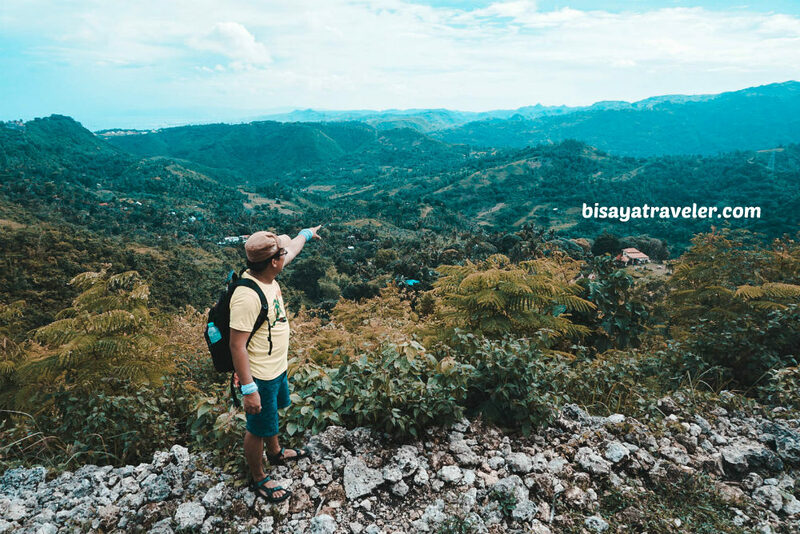 With my past experience in hiking Antuwanga, it was my turn to lead the crew to these underrated mountains and ridges in Cebu City. 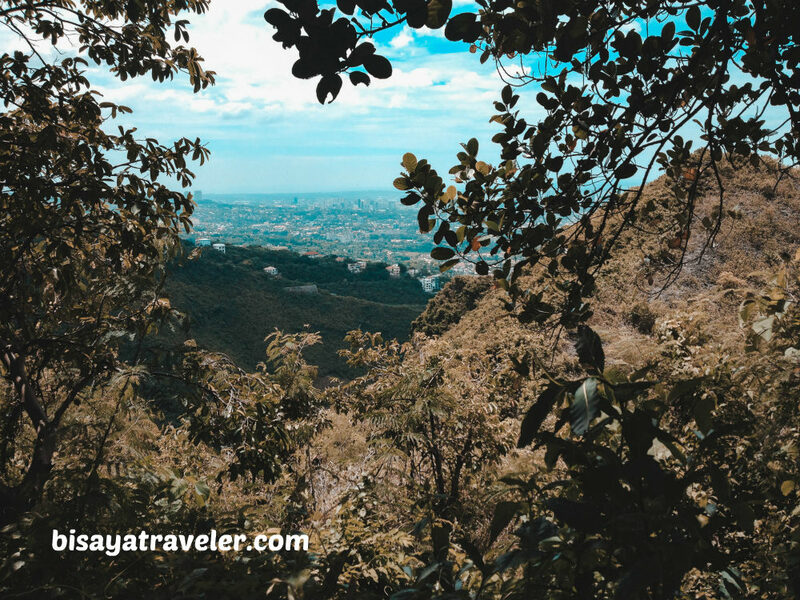 At first, the trail to San Carlos Heights felt harmless and a walk in the park. Heck, my hiking pals even thought getting to San Carlos Heights was going to be a breeze. Little did they know, big, bad Daddy Chuck (that’s my college nickname) had an adrenaline-pumping surprise in store for my buddies. We got lost on a number of occasions too, with some pathways leading us to the wrong direction. But, with common sense and my photographic memory, we eventually discovered the trail that would take us to our next stop. 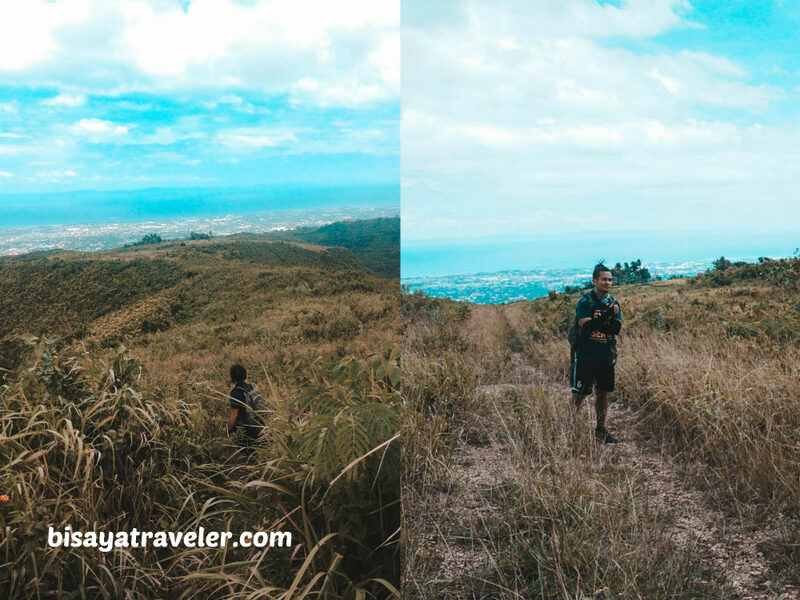 We kept on walking, until we arrived in a bushy area with no clues of the trail leading to San Carlos Heights. Then, I remembered how I got to this spot, the first time I hiked this side of Antuwanga. A year ago, I, together with my previous team, ventured into this remote land from San Carlos Heights. And, as far as I can remember, we had to force our way up, breaking twigs to clear the forested pathway. And so, we descended and got our butts kicked by this rugged and wooded trail. Not only was the trail full of twigs and prickly plants, but it was slippery as well, with some loose soil and unstable rocks. Even so, I didn’t notice any ounce of fear from my team. On the contrary, they seem to enjoy it! You might think that we’re a bunch of masochists, but the truth is, we’re not. As I’ve said before, these painful pleasures are the lifeblood of my clique. Sure, we love to snap pictures of the breathtaking panoramas, but it’s the adventurous and heart-pumping moments that truly make us happy. And, soon after, we arrived at a plain, and enjoyed a breather. Afterwards, we resumed with our hike on arguably the most challenging part of our Antuwanga hike. How difficult and complicated was this escapade? Just take a look at Beboi’s picture below. The struggle was real, indeed! We had to crawl, climb slippery slopes and even hold on to plants and roots, to prevent mishaps. 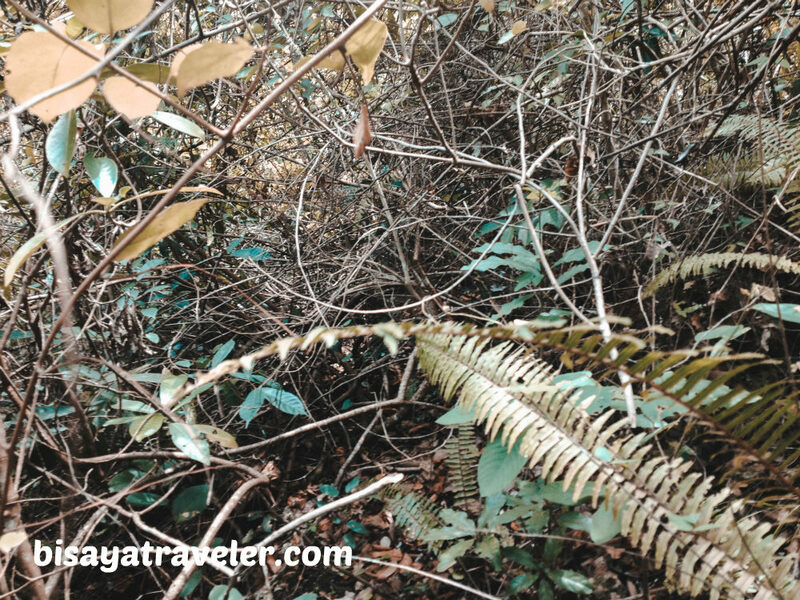 What’s more, we had to dodge a heap of thorns and spiny plants. To top it all off, our stomachs were all grumbling. And, in spite of all the stumbling blocks, we kept moving up, slowly and surely. Ultimately, we arrived at the trail leading to Toong from San Carlos Heights. And, finally, we arrived at the next stage of happiness in hiking – savoring the moment. Normally, the 4th stage is where you reach the summit, and savor your accomplishment as well as the bird’s eye view. For most hikers, it’s the highlight, the crowning glory, and the most memorable experience of their hike. It’s where you realize that all the struggles to get to there were totally worth it. It’s the stage of happiness in hiking where everyone is smiling and in high spirits. And, it’s also the time when the pain in your body magically goes away. But, in our Antuwanga hike, we’re just glad and happy that we made it safe and sound. LOL! On a more serious note, the views here were lit and nothing short of spectacular! To make things even better, the mountain exuded a laid-back and relaxing charm, with its fresh mountain breeze. Can I stay here forever? I wholeheartedly love the feeling being on the summit with the fresh air on my face. In reality, there’s an easier way to get this spot. But, I don’t think the views and atmosphere would feel this amazing if we took the easy trail. Just like life in general, the views from the top are so much sweeter and more meaningful, if we take the rugged and more challenging path. And, for a while, we stood there admiring the panoramas and relishing our recent feat. Since it was already lunchtime, we had to move forward with our hike. The 5th stage of happiness in hiking is my favorite part of the hike. It’s the time when everyone is so expressive, jovial, and light-hearted. With the summit ascend in the books, the 5th stage is the time when hikers feel a sense of accomplishment. Likewise, it’s where people share stories of their mishaps, challenges and highlights in their hike. 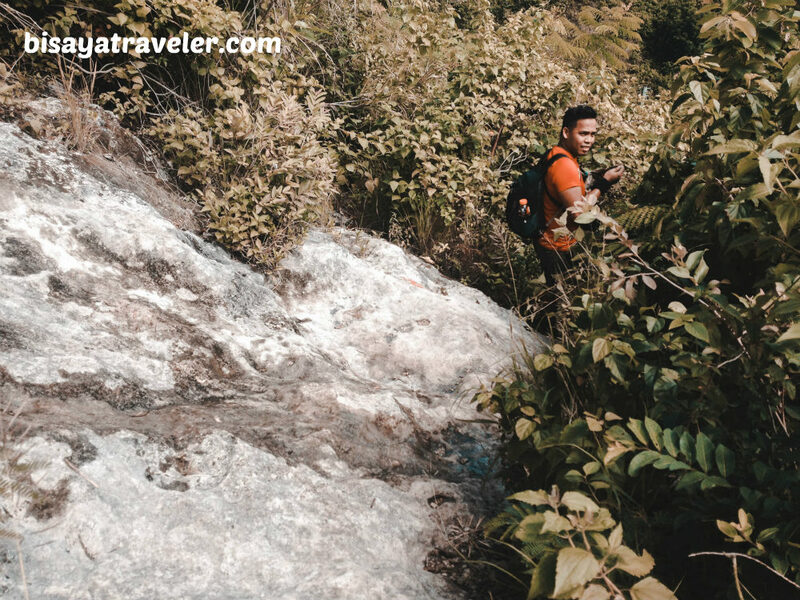 In most hikes, stage 5 also includes a stop or side-trip to a waterfall or another attraction. And, for our Antuwanga hike, we opted to chill out at one of my favorite flower farms – AO Farm. Once we’ve finished our lunch, we explored the area, checking out its newly added facilities and attractions. 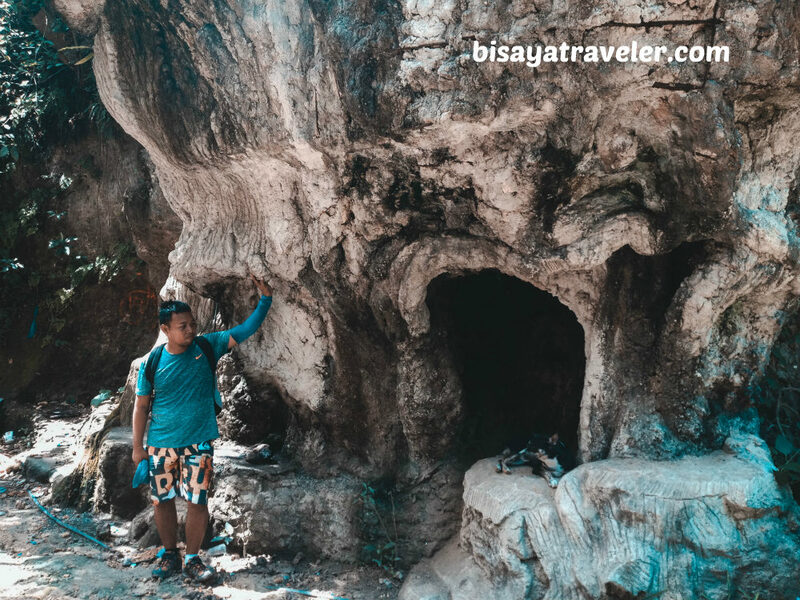 With our wanderlust and adventurous spirit appeased, we decided to cap off our Antuwanga adventure, and treat ourselves with a tasty meal in Tisa, Cebu. The sixth stage is when the adrenaline starts to wear off. For the most part, it’s the time when you’ll feel the effects of the struggles of your hike. And, yes, we felt every scratch and bruise, following our hike in Antuwanga. But, guess what? We were still on cloud nine! 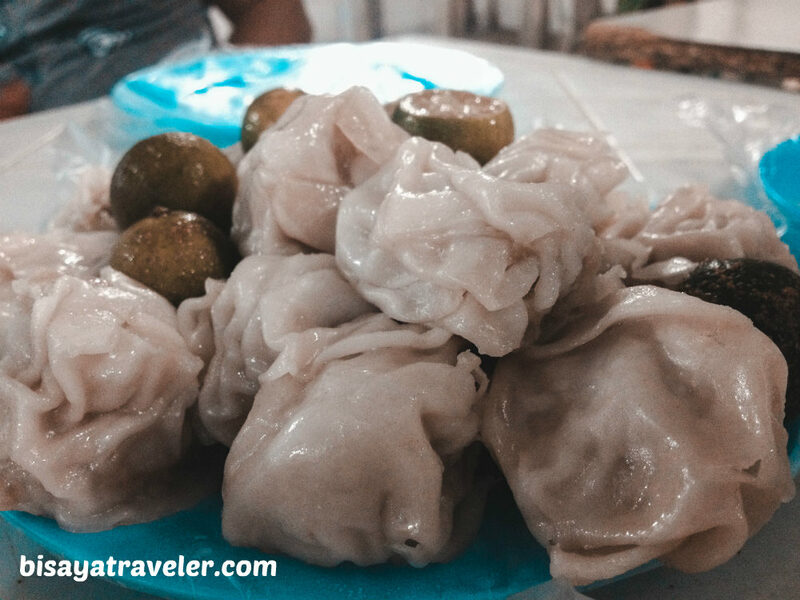 After a couple of rides, we found ourselves sitting on a store in Tisa, indulging on a tasty and hearty combo of pancit canton and siomai. And, as we were enjoying the meal, we were also reflecting on our most unforgettable sights and moments of our hike. From the awe-inspiring views to our slips and blunders, we had so much fun recalling everything that happened that day. We really can’t stop smiling and laughing. And, as with anything that involves food, Tatay Raul was the undisputed star of our culinary adventure. He was even sweating like a sprinting Kenyan runner, while enjoying the spicy teats. Later, we called it a day, and went home with a plethora of happy memories. Our Antuwanga hike was absolutely a blast and an exciting adventure with tons of happy and pleasant memories. But, here’s the thing. That hike is, in essence, the 1st Stage – Anticipation or Buildup – or a teaser for a much bigger and purposeful cause. Stay tune, in the next 2 weeks, to find out what that is.